In the 1992 Disney film Aladdin, our unlikely hero, Aladdin, had a magic carpet that not only could fly, but had a personality all its own. The magic carpet flew Aladdin to great heights, provided comic relief, and even helped him win the love of a princess by impressing her with its style and personality. We’re not saying that our rugs will fly you anywhere and everywhere you want to go, or cause a princess or prince to fall in love with you, but our impressive selection of rugs certainly come with distinctive style and personality. The right rug can not only pull a room together, but it can create a warm and inviting environment that allows the homeowner to show his/her personality. Style can be showcased underfoot just as much as it can be showcased on the walls of a home. Although our collection includes rugs of all sizes and dimensions, we are crazy about the design opportunities that can come with the often forgotten runner. Runners are longer, rectangle rugs that are typically used in narrow spaces such as stairways, entryways and long hallways. Runners are a great way to add ‘oomph’ to a space. At The Rug Warehouse we offer something for a myriad of tastes and price points. Besides being the perfect size and shape to fill long, narrow spaces of exposed floor, runners can add visual balance and pizzazz to a space. 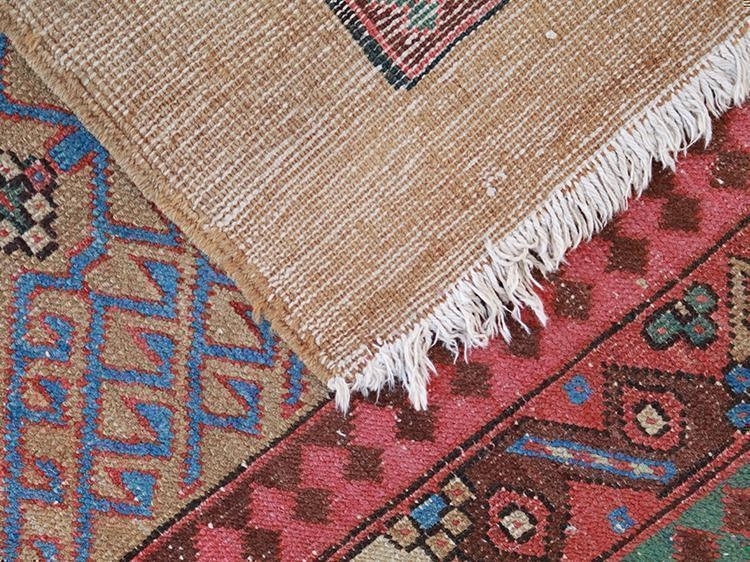 Our runners include antique Persians, vintage and modern Afghan kilims, tribals, berbers, and more. This vintage Afghan kilim rug would create a bold statement in the entryway of a space, or an unexpected pop in a kitchen or a bathroom. Although stairs serve a utilitarian purpose, they can also be a design focal point in a space. Our colorful roll runners come in natural fibers, such as seagrass, wool, and jute, and range from variegated solids to contemporary and bold abstracts to striking geometric patterns. Remember, the sky's the limit when personalizing your home. Cold floors are no way to start or end your day. Since you have to get out of bed in the morning, why not step onto something warm and cozy? If you’re at your sink doing dishes after a long day, why not stand on something soft? Antique Persian rugs are a great choice for kitchens and bedrooms with their vintage charm. Soft from gradual wear over the years, these antique rugs will feel great under your feet. Insider Tip: You could have two runners flank both sides of your bed, or you could have a professional cut one long runner into two pieces. This is a surprisingly simple and inventive way to add symmetry to your room. Whether you live in a more traditional home, or in a mansion in the hills, runners create a design focal point in any room. A colorful rug can be functional art that transforms a kitchen, bathroom, entryway or walk-in closet into an exquisite space. A runner can not only serve its purpose, it can also spark conversation. Don’t be afraid to be bold with your selection and color choices. The Rug Warehouse runners have been thoughtfully curated to provide an exclamation point of vivid color and texture in the narrow spaces of your home. Be sure to use one of our nonslip rug pads underneath your runner for safety and to extend the life of your rug. Our rugs may not be able to fly, but that doesn’t mean they can’t take your home decor to new heights. Peruse our website or, if you’re in the Los Angeles area, visit our showroom to see our full offering of runners and other rugs.